Everything is made fresh from dough and batter to fillings and icing. 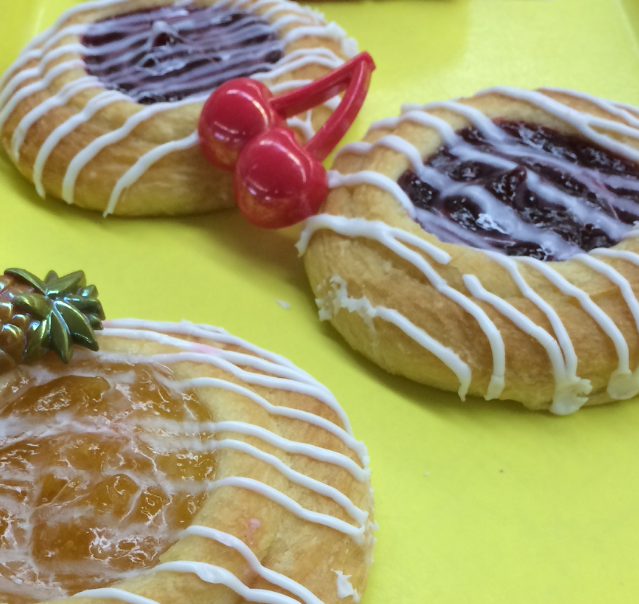 We pride ourselves in the variety of donuts we offer. We have many loyal customers that we see quite often, as well as new customers that instantly feel right at home. We also offer custom donut designs for birthdays and special occasions. Let us know if you have any questions about what we offer. We always enjoy new challenges. 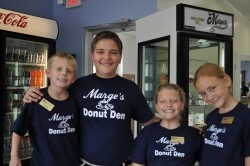 For over 40 years Marge’s Donut Den has been making donuts and baked goods with the slogan “Quality Comes First”. Marge opened Marge’s Donut Den in 1975 and have since developed a loyal following who believe she makes the best baked goods anywhere. Wedding Cakes by Marge’s and Gene’s Groom’s Cakes are custom made and designed to make your wedding beautiful. It’s our goal for you to receive compliments on the taste while we create exactly what you want. Our talented and experienced cake designers will offer their suggestions and recommendations to assist you with any of the decisions to be made. If you haven’t had our cakes you may sample during our appointment. To ensure that every wedding cake is made to perfection, we limit the number of cake orders we accept each weekend. Don’t worry about rushing to make your cake choices, though. You can wait to give us the specifics later, we just want to make sure we have you on our schedule. All reservations are held with a $50 non refundable deposit. If you can dream it, we can make it. We have many pictures on Facebook posted by some of our customers. We offer an assortment of flavors, colors, and designs. Contact us for specific requests. Hand cut, shaped real butter cookies. Decorated with buttercream by our expert cake designers. Cookies for just about anything you can think of. Contact us today or call 616.532.7413 to make your appointment with one of our cake decorators. Call to learn when the next cake presentation is scheduled. Please RSVP with number attending. Copyright © 2019 Marge's Donut Den. All rights reserved.